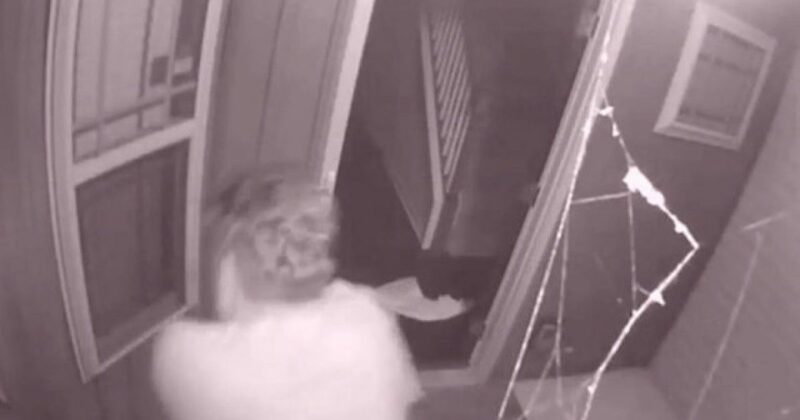 Crook Kicks Down Door of Mother of Three. He Instantly Regrets It. This is the very definition of a mama grizzly. A mother of three heard loud banging on the front door of her North Carolina home around 6 a.m. Thursday morning, along with the loud rantings and ravings of a man claiming the house was his. He later broke the door down, which was a move he would soon come to regret, as the mother in question judicially exercises her Second Amendment right to bear arms. “He was like, ‘This is my house, let me in. I’m not going to hurt you’ kind of thing, and I was like, ‘What do you want?’” Jones told WSPA-TV. “After I called the police, I grabbed a gun and went to the top of the steps and was like, ‘I have a gun. I will shoot you. Do not come in my house,’” she added to WSPA. Indeed, her three young children were asleep in the rooms behind her, the station said — and Jones wasn’t about to let anything happen to them. The man tried to enter the backdoor, but found it was locked, so he went back to the front door and kicked it in. This proved to be a massive error in judgment as Jones opened fire, striking the intruder in the shoulder. Jones went on to tell local media that she was glad to be a gun owner, noting she just bought the weapon a few months ago and recently went through firearms training. “If I didn’t have a weapon, I wouldn’t have been able to fight him off,” she said. This is precisely why the Second Amendment exists and why it’s so critical that we take measures to preserve it. Without the right to bear arms, this woman and her children might not have survived this encounter. It’s the sort of tragedy that we need to do more to prevent. Yes, there are evil, wicked people who use guns to carry out mass murders, and these monsters need to be prevented from having access to these weapons as much as is possible without violating the rights of the innocent. However, anything that prevents law abiding citizens from being able to have the means of self-defense, like strict gun control laws, is out of the question.